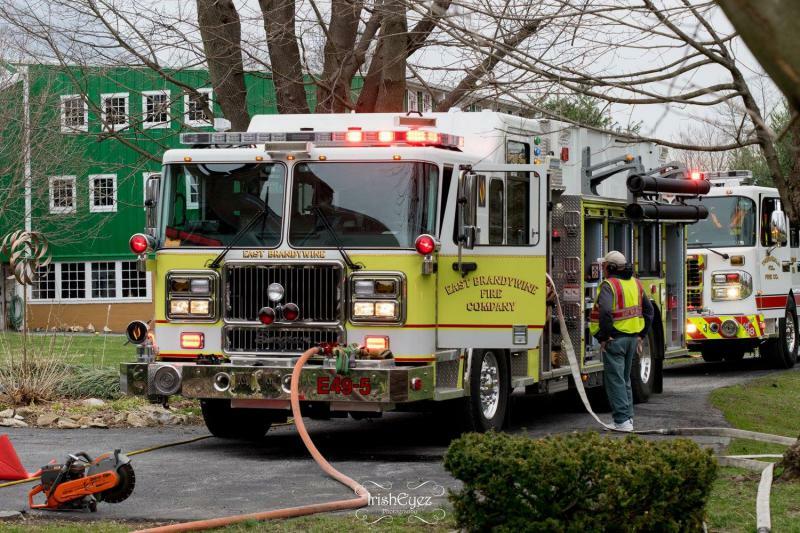 During the afternoon of Thursday March 30th, East Brandywine Fire Company volunteers were dispatched to a house fire on Dilworth Road. 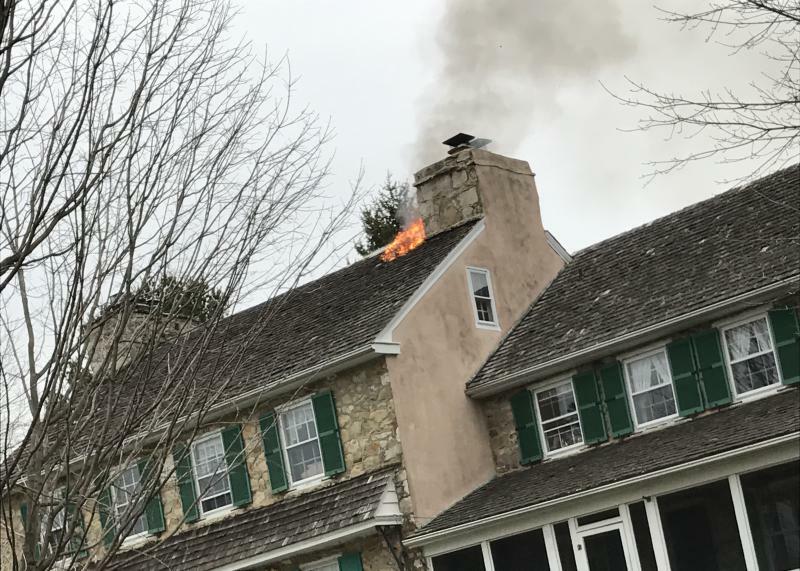 While en-route Chester County Emergency Radio alerted Chief Officers that "this was the farmhouse located in East Brandywine Park and neighbors are reporting fire thru the roof". 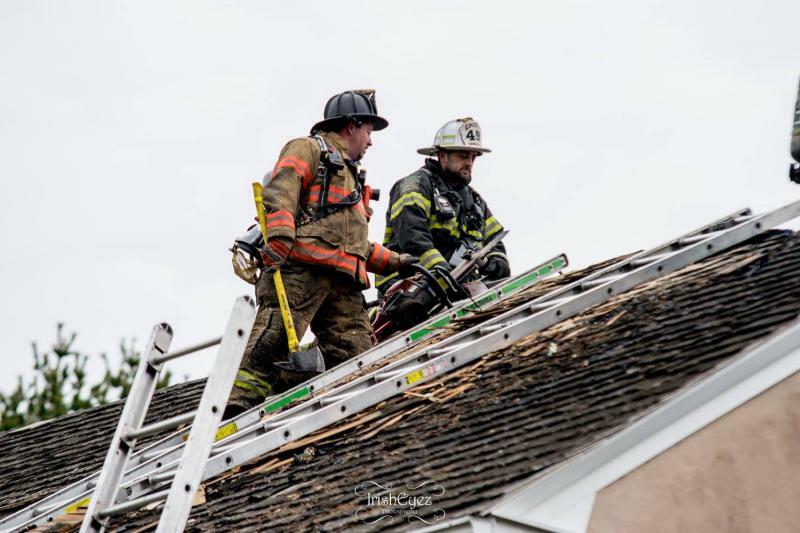 Deputy 49 arrived on location and confirmed the initial findings and upon further investigation found a well involved attic fire. 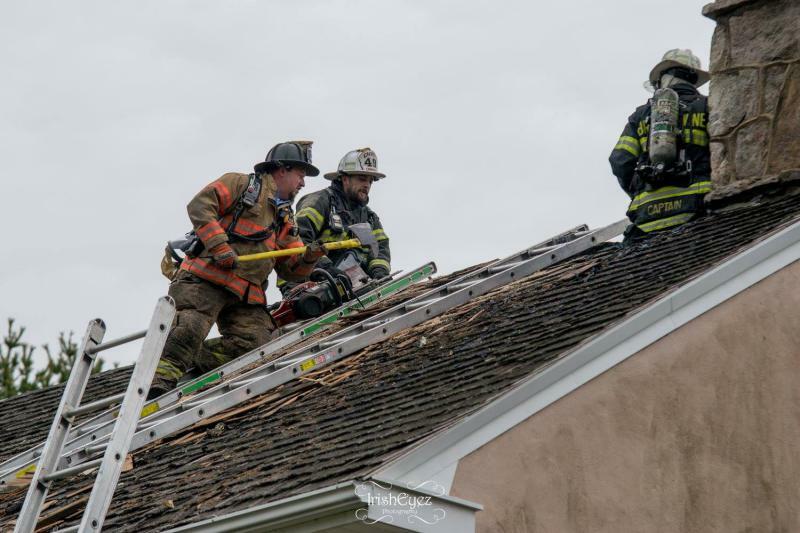 Personnel from Engine 49-5 stretched an attack line to the attic to suppress the fire, while crews worked on opening the roof. 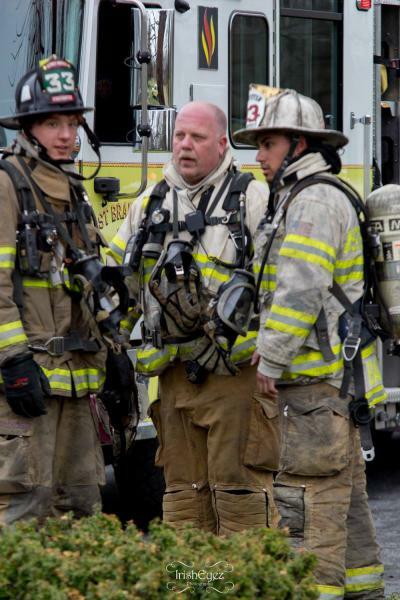 Engine 49-1 completed a 700 foot reverse lay from Engine 49-5 back out to the street to establish a water supply. 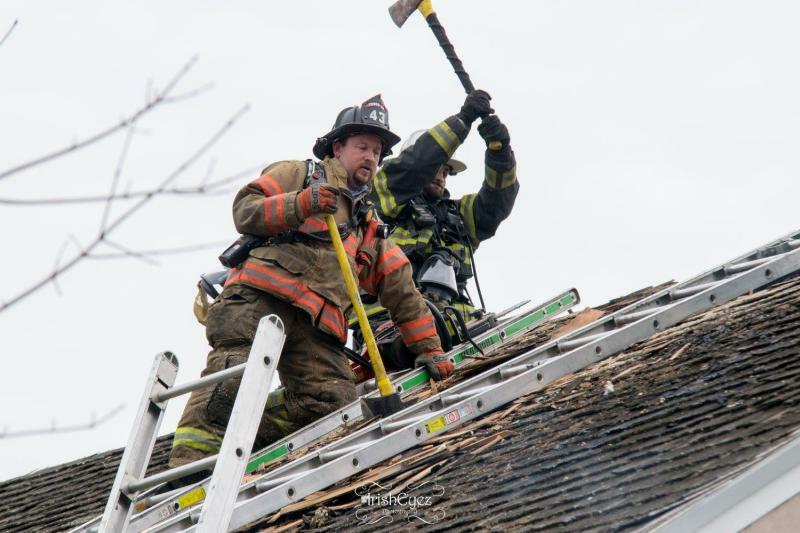 Personnel from multiple mutual aide Fire Companies worked together to quickly bring this fire under control and minimize damage to this historic structure. 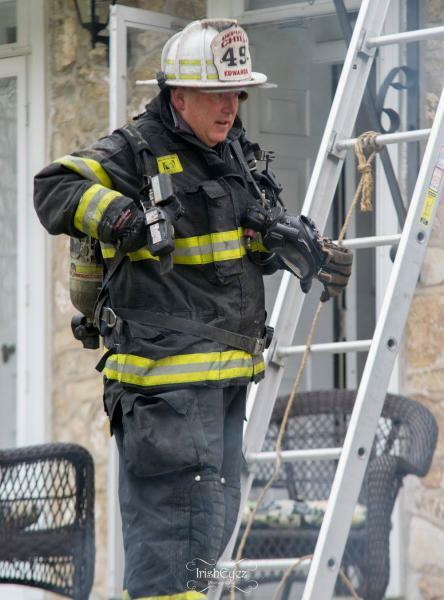 According to Captain Joe Monestere "crews did an outstanding job, but the real hero today was an alert neighbor from Kristin Circle nearly quarter mile away who called 911 when he saw flames from the roof". 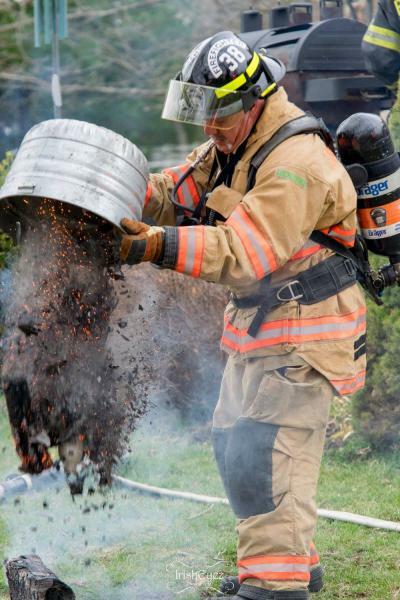 Chester County Fire Marshals Office were on-scene to determine the origin and cause of this fire. Thank-you to Irish Eyze Emergency Services Photographs for the pictures!